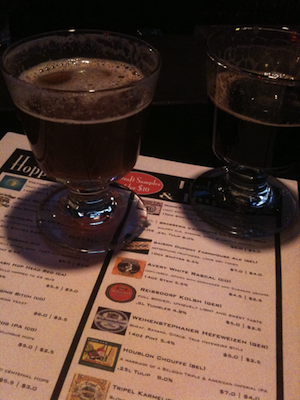 Cleveland beer | Beer Blotter: Seattle based. World focused. Some pictures from the road. The Tremont Taphouse is a cool spot in a little known neighborhood called Tremont. They have about 40 taps, half of which are constantly being turned over. We reviewed this place last year, but they are improving. Its a must visit beer spot in Cleveland. Great Lakes Brewing will always have a special place in my heart. Their Christmas Ale is the thing of legend and lore. 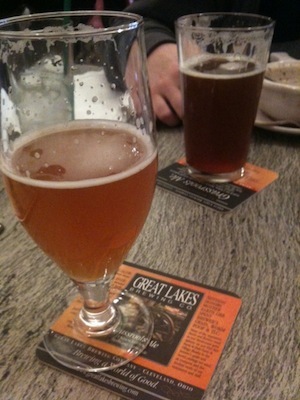 In the above picture is a pint of Cleveland Browns Ale and Lake Erie Monster Imperial IPA. The monster has alluded me in its first year of circulation. This is an amazing beer! Make sure you can track it down. Here is the current list at Great Lakes. Salivation. This is the most exciting news going round Cleveland beer. 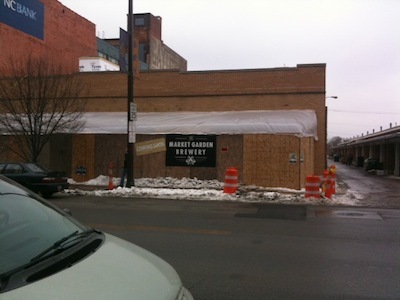 Market Garden Brewery will be located right around the corner from Great Lakes and directly beside Cleveland’s famous West Side Market. The Brewery is being run by Andy Tveekram, a famed former brewer of Dogfish Head and Great Lakes Brewing fame. 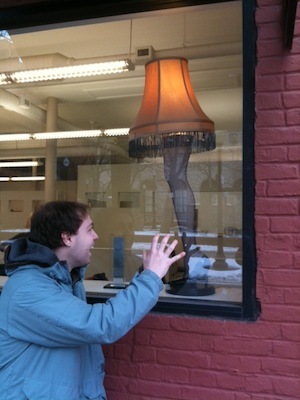 I cannot wait for this puppy to open. Who said this was vacation? Just because we left Seattle – doesn’t mean that we left our love for brewing. Got to love my pop’s little stovetop setup. Some Simcoe IPA on its way. Hope you all enjoy the Holidays! Come on Down to Cleveland Town, Everyone. I assume that by now, you have seen the “hastily made Cleveland tourism” videos that graced the internet last year. They are, unfortunately, a fairly honest portrayal of our fair city on the Lake. But do not despair and do not fear your trip to the “Heart of Rock N Roll” – we have beer here. And this beer ain’t too shabby, either. While we are visiting some family back in the good ole Midwest, we decided to take a few trips around the Cleveland airport. I figure that many of you fly to Cleveland purely for business and the short trip might limit you to the airport region. So, lets see what we have here. First of all, Cleveland Hopkins International Airport is stuck in the middle of no man’s land. The airport is buried about 20 miles south of Cleveland’s downtown, in a mostly abandoned industrial portion of Cleveland. However, over the past few years, we have seen a nice growth spurt in the residential areas surrounding it. Particularly, North Olmstead and Strongsville; while you also are close to the more metropolitan neighborhoods of Rocky River and Lakewood. 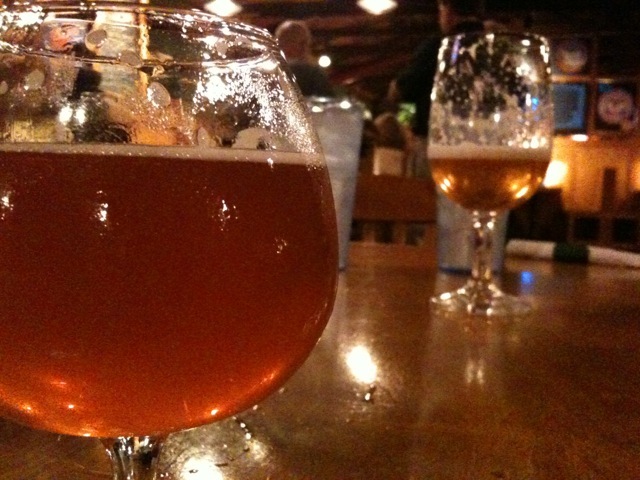 We found 4 brewpubs that you have to visit! Fathead’s IPA – Do not avoid these beers! 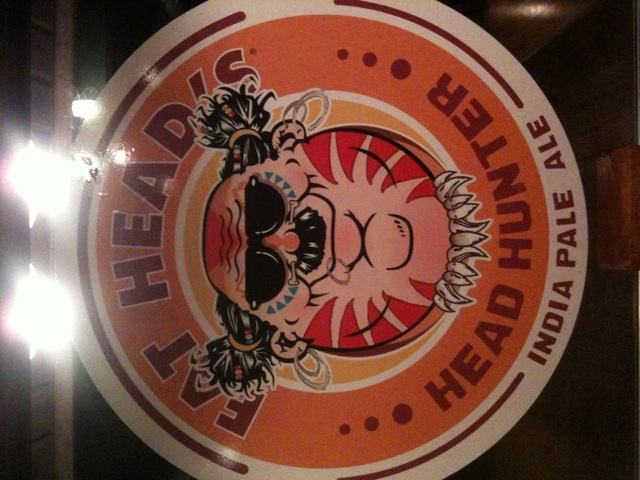 The Head Hunter IPA hasrountinely garnered medal after medal at big time beer events. It won the West Coast IPA Festival’s gold medal in 2009 and placed 4th this year. Remember – that was West Coast, as in going up against the big boys. Know why they can beat the CA brewers? Tons of Simcoe and Columbus hops, meticulously added to a refreshing malt blend. why would you!? The Hop Juju Imperial IPA rivals the best imperial IPAs that I have ever had. It borders on the bitterest, most piney that I have ever tasted. Added bonus: this year’s version went up from 8.7% to 9.3%! Get this beer. Seriously. Fathead’s amazing food – I’ll be brief about this – check this menu. More than 25 sandwiches, two types of wings (with 10 sauces), pizzas, burgers and several concoctions involving pierogies. Can’t beat it. If you go South to Strongsville: The Brew Kettle. I love that this place recently started bottling their beers. I just purchased one at the Acme Supermarket in Akron, OH. 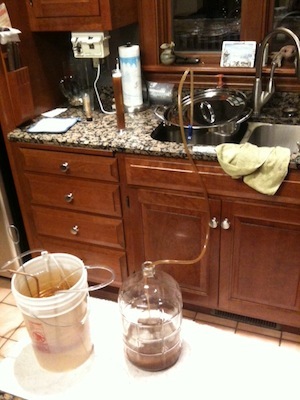 But, the Brew Kettle does more than brew beer and sell it – they let you brew your own as well. The big board at the Kettle. The Brew Kettle is everything you want in a beer hut. Brew your own, drink their brewed beer or drink from another 20 taps of other amazing beers from around the world. During our visit, we enjoyed Founder’s Red Rye PA, Founders Centennial IPA, New Holland El Mole Ocho, Weyerbacher Old Heathen, and Victory Helios Saison – all were exceptional. The Brew Kettle also serves some damn good BBQ. We ordered the Big Pig, stuffed with smoked pork, smoked bacon, cheese, several sauces, and tons of veggies. We had to share this monster, along with its sides of beans and slaw. Check out their menu by clicking here. If you decide to head North into Lakewood: The Beer Engine. The Engine is located right in the heart of Lakewood, right down the block from our favorite beer store – Rozi’s Wine House. The Engine sports a fine collection of grub, outside brewer’s beer, and their own house-brewed beers. You see, the Engine is the home of Buckeye Brewing Co., one of Ohio’s best. 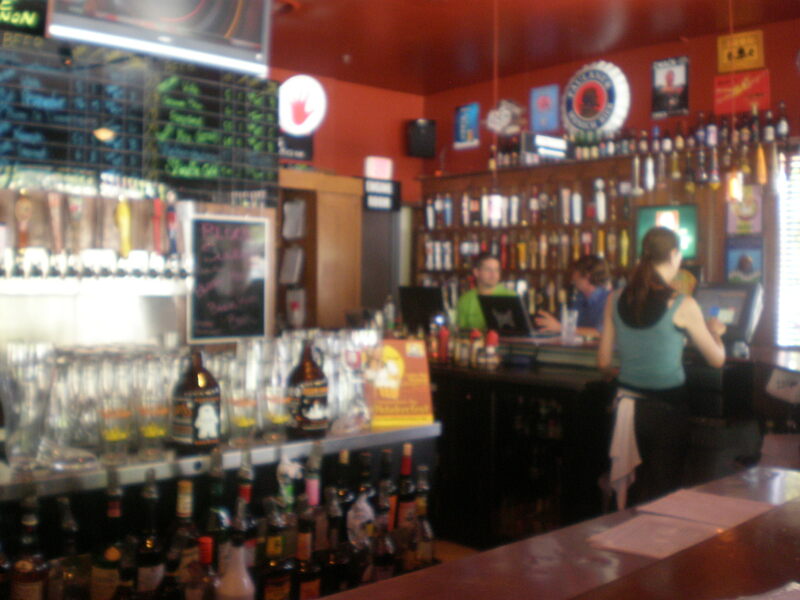 This grog spot was recently showcased on a 52 Weeks article, here on Beer Blotter. Check out the article for more on the great ole Engine. Lastly, if you head North to Rocky River: Rocky River Brewing Co. The RRBC is right off the main road through Rocky River, making it nearly impossible to miss. The RRBC is your classic brewpub, serving their own house made beers, as well as a few offerings from the outside world. Don’t miss their Oompa Loompa Chocolate Stout or their Christmas Ale. 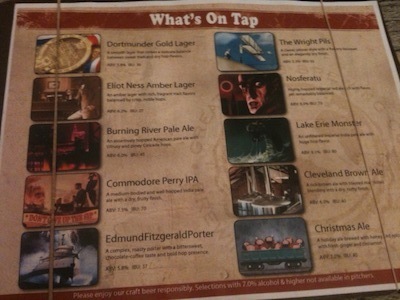 The pub also sports a nice looking menu – though we cannot attest to the food. Regardless, Cleveland brewpubs never disappoint. So, there you have it – 4 Cleveland brewpubs, all within 20 minutes of the airport. Don’t miss out next time you have a delay or cancellation in C-Town. Visit: A stay at grandma’s during the hot, humid Ohio summer, I stop in the Buckeye Beer Engine, with mom in tow for a cold one. The glorious list before me. So many wonderful options- a booklet of densely written type. I was too focused on the tap beers and was in a time crunch after spending an hour picking out beers to bring back from Rozi’s Wine House. For the full bottle list, click here. Little rings of onion friend to perfection! FOOD OPTIONS: Its your average bar menu with some surprising twists. Wings graced the menu which is not surprising considering we are in the Midwest, a.k.a. wing mecca. With several flavors including your normal hot, atomic and honey BBQ, the Bourbon BBQ caught my eye. 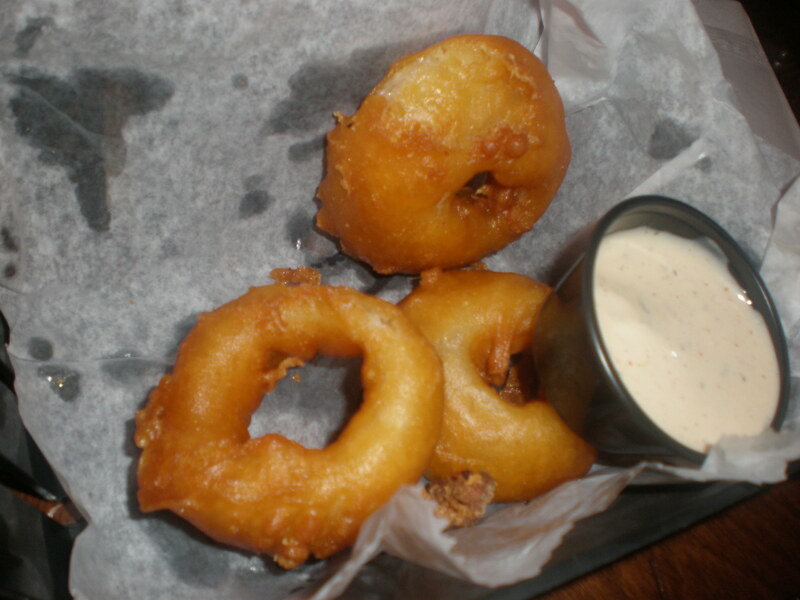 My companion and I settled on the onion rings, soft, flavorful onions engulfed by a crisp beer battered shell with chipotle mayo for dipping. Other note worthy menu items, Adobo Beef Egg Rolls, fried pickle spears and the burger of the day was Chicken Chorizo. If we were there during meal time, I would have done some serious damage. In a far off land in the “heart of it all” I find sweet corn, several family members and friends, amazing wings and a local beer culture that deserves some praise. Ohio. A place many never visit and many never leave. From the outside, the Buckeye Beer Engine is bleak and reminiscent of a fast food joint. There is an outdoor seating area and if this place were in Seattle on a hot August day, it would be packed full. Instead, not a person in sight due to the humidity. I step inside and let out a sigh of relief. The inside does NOT match the outside. In fact, the inside is quite pleasant with plenty of seating, wooden tables and a wooden bar. The wooden bar is in the shape of an octagon and hugs the center which is where the magic happens. The wall directly behind the bar is home to the neon glowing tap list. Old tap handles hang from the walls- a tribute to all of the great beers that once graced the list at the Buckeye Beer Engine. Once home to the operations and production of Buckeye Brewing Co., the BBE represents with 4 of their beers on tap. I order a flight which includes Buckeye Brewing Co.’s ’76 IPA and Zatek 2010. Zatek on both beeradvocate.com and ratebeer.com is listed as a strong ale. At BBE, it is listed as an imperial stout and I must say, I agree with them. It is dark in color with a tan, chocolate colored head. There is a slight bitterness, like the bitterness from coffee followed by a sweeter finish. A great beer. I am kicking myself for not grabbing at bottle to take home with me. I snagged a bottle of ’76 (I purchased bottles from Rozi’s, not from the bar) but was able to taste it today- it doesn’t pack the hop punch I was hoping for and was slightly thin. I ordered a Great Divide 16th Anniversary which in my opinion was way more flavorful and left a lasting impression. Granted we are dealing with an IPA v. an Oak Aged Double IPA, so as far as a single IPA, the ’76 is worth your time! You’ll have a soft spot for this one. Using only fresh Michigan tart cherries, this beauty tantalizes with intense flavors combined with a no hesitation malt bill. Adding fresh cherries at five separate stages of fermentation achieves the ultimate balance between tartness and sweetness. It reminded me of Cantillon out of Brussels- lambics that are not overly tart or sour, lack carbonation and have a subtle, yet flavorful fruit component without a sugary aftertaste. I really enjoyed this one as it brought me back to a place I adore. All in all a great place with friendly staff, loving patrons, a great bar menu and a showcase of amazing local beers as well as the great beers from around the world. The beer cooler at La Cave du Vin - our #1 stop in Cleveland. We are going to start doing a “Top 5” list column until we hit all of the cities we have visited since our beer mania spawned. There are quite a bit of cities – we travel often. This will be a quick rundown of the 5 places that we would tell you to visit, if you happened across one of these fair cities. The reason that we want to do this is that we have been getting a lot of inquiries from readers who are simply traveling and want to know where to find beer mecca. The goal is to put this on the site in an easy to read format, cataloged for viewing at any time. We go places because we want, not because someone asked. I cannot stress this enough. We were never enticed to these places by promises of freebies, attention, pats on the back or back room happy endings – we just went because we heard the word. We cannot be everywhere. Typically when we visit a city, its for a few days only. This severely limits what we can visit. If there is a critically-acclaimed otherworldly place that we did not make it to, we will try and asterisk it in the Top 5 list so that you know it exists. We are not millionaires. Wow, bet you could have guessed that one. We cannot purchase the best of the best all of the time. This limits what we might get out of a particular venue. Just want you to know. We like all types of places. These lists are not “beer bar” centric – far from it. In fact, you may find places that make you shake your head. But, if they have the total package of beer, character, service, food and aura – they get the mark. We try to poll our choices, but sometimes there is bias. There are 3 primary writers for BeerBlotter.com. We always try to discuss what we like best and poll our choices. Unfortunately, you cannot do it all the time because we are all not at the same places at the same time. As the variables change, so do our opinions. Thus, you might get some choices that are filled with bias. Again, just a warning. Ok, now that we are through with the rules, lets move on to the Top 5 list for Cleveland, OH. 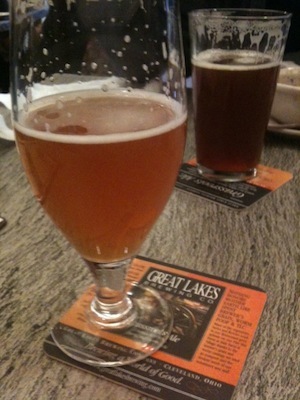 Town Favorite: There is only one actual brewery in Cleveland’s city limits that produces enough beer to hold this title – Great Lakes Brewing (GLBC). 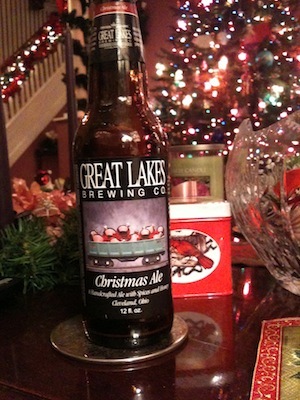 GLBC has created a cult following thanks to its incredible lineup of german and american style ales, wonderful brewpub and fantastic Christmas Ale. GLBC even runs a green shuttle down to ballgames downtown for people drinking out at the pub. We love this place, you will too. #5 –Rozi’s Wine House – 14904 Detroit Avenue, Lakewood. This is a beer store, which generally would not make a top 5 list. But based upon my profound love for the people who work there, the selection, and their willingness to ship anything – anywhere. There are in. Contact Rozi’s about their beer of the month club. Its just 20.00, plus the cost of the beer they select. They will send you about 6 different bottles (12 to 22oz) of amazing Midwest beers. My last shipment included a New Holland Imperial Mad Hatter and an Arcadia Hopmouth Double IPA. If you are itching for some Midwest beer, but you live outside the distribution channel, give them a call for your fix. 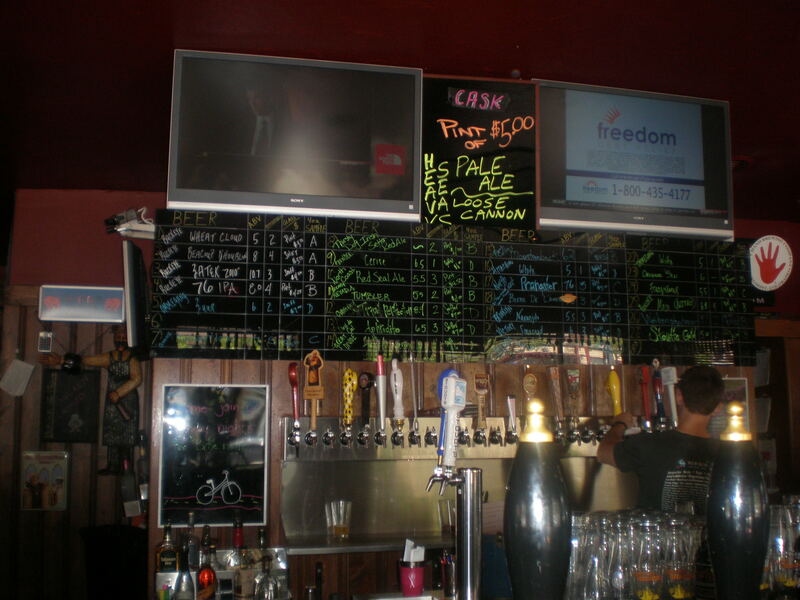 #4 – Tremont Taphouse – 2572 Scranton Road, Tremont. We wrote an article about this one and we hit them pretty hard. This was one of the worst service experiences we ever had, but it still makes the list based solely on beer. Our service problem: they publicized that the kitchen was open at 3. We got there at 3, when they told us it was not open until 4, because they open in the morning, close at 3 and reopen at 4. Not a huge deal, I understand that the kitchen needs a rest – but please update your website (especially when the guy told me he knows its wrong and just keeps forgetting to do it). Then the waitress was cold. She scorned us for being there and wanting food. She blew us off for our orders a few times too. Then I caught her openly talking poorly about our table to the owner, who noticed I was standing there, got embarrassed and then spent the next 20 minutes trying to give us extra attention. We recognize people have bad days – but she was beyond bad. I mean this was in front of my parents – sheesh. Each one of these beers was a thumbs up. The Hopslam had alluded me the whole trip and I was very happy to see it on tap that morning. If you are skipping food and simply trying to find the best taps in town – go here. 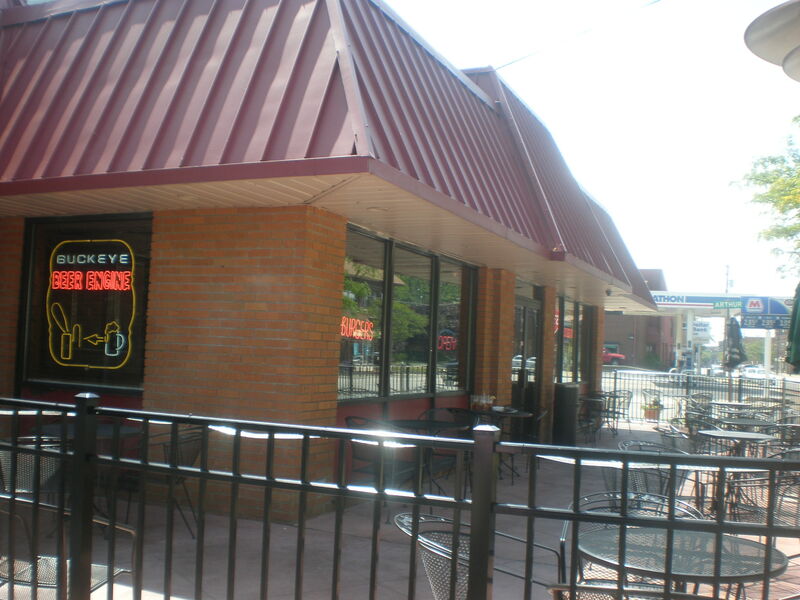 #3 – Winking Lizard Tavern – Several Locations; Best one is on Coventry Ave., Cleveland Heights. It would be easy to call this place a glorified Buffalo Wild Wings, if not for the great local sports connection and impeccable beer selection. The Winking Lizard has long been a place for Cleveland sports fans to drown their sports sorrows in a bucket of hot wings and a pint of Great Lakes Commander Perry IPA. But, we were floored when we saw their beer upgrades. To go along with the tavern’s “World Tour of Beer”, they promise to have 100 different bottles of beer for your choosing. I am not talking about stashing 10 different Sam Adams’ on there either – I am talking amazing Midwest specialties. Our trip included the following: Bells Brewing Kalamazoo Stout, Bells Brewing Cherry Stout (TAP), Heavy Seas Loose Cannon Double IPA, Weyerbacher Hops Infusion IPA, and even a Drie Fonteinen Gueze! The taplist was impressive, the bottle list even sexier. Go there, get some wings and join the World Tour of Beer. There is too much to say about this place, so I will keep it short. Extensive beer selection – all good, incredible sustainable food, wonderful service, intriguing venue and the best beer tours. Great Lakes has been pumping out quality beers for ages. They are known for their Christmas Ale, Dortmunder Lager (a multiple GABF winner) and Blackout Stout (one of my favorite stouts ever!). The brewery is a locals spot, filled with fanatic Browns, Indians and Cavs fans trying to get their pre-game jitters covered by a few frosty ales. If you are in Cleveland and want the entire package of great bar, great brewery and great food – do not miss this place. What can you say about this place? Its a damn cave, hidden beneath the streets of Cleveland’s funky Coventry neighborhood, not less than 1 block from the Winking Lizard. Grab some wings at the Lizard and head over the Cave to immerse yourself in Cleveland’s greatest beer bar. The bar is small, but it has an incredible bottle selection. Anything you want (including vintages) from Jolly Pumpkin, Bells, Founders, Hoppin Frog, New Holland, Arcadia, Goose Island, etc. – can be found in the glass enclosures. Check out the wall beside the coolers for more vintage beers that will blow your mind. While we were there we enjoyed a Founders Double Trouble IPA, Founders Red Rye IPA, Jolly Pumpkin Bam Noire, and Weyerbacher Porter. 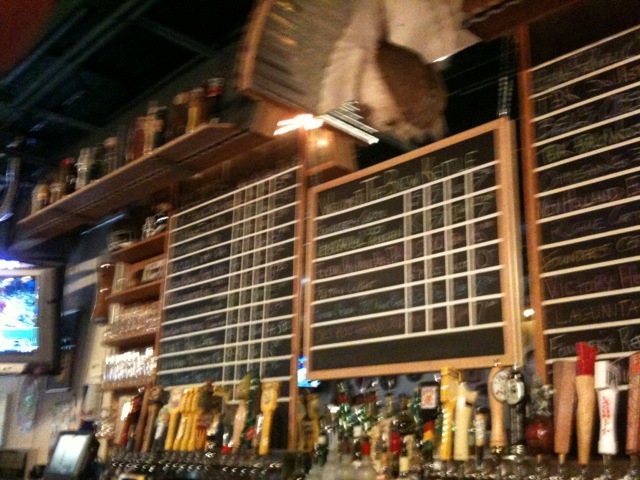 If you look at their taplist today, you can still see why we faint over their selection. Is that Jolly Pumpkin E.S. Bam!?! They take the cake. No trip to Cleveland can be complete without a trip to Coventry to see this place. Grab a few bottles, take them home and cherish them forever. Live in Cleveland – Know the area? Hate something we wrote? Let us know below in our comments, or by sending an email to beerblotter@gmail.com.